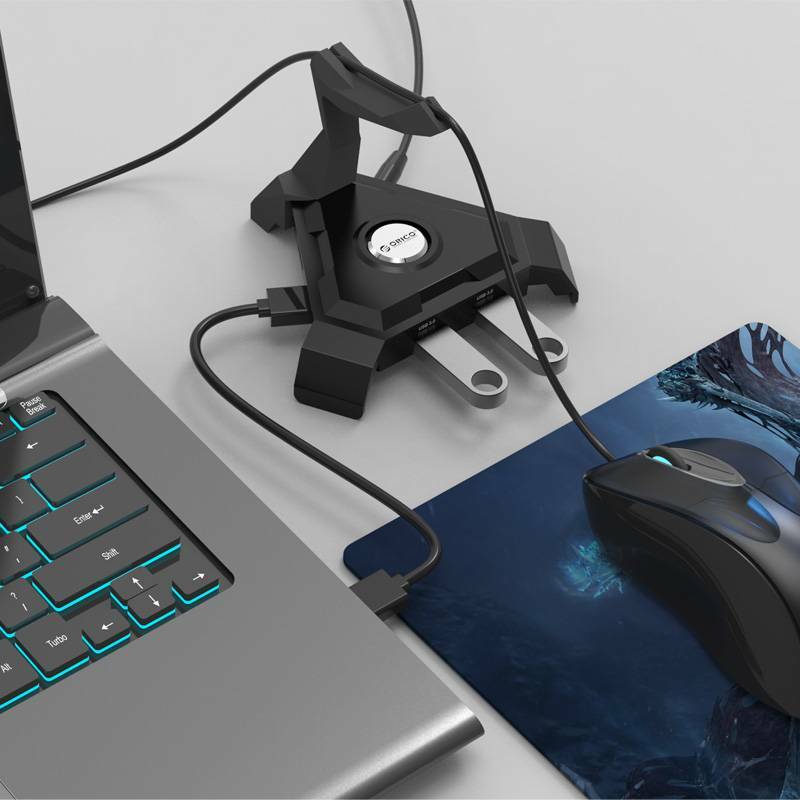 This functional cable holder for your mouse has a USB type-C connection and also has 4x USB3.0 ports with a maximum speed of 5Gbps. If you regularly use a computer mouse with cable, it is nice to manage this cable. With this stylish Orico cable holder you can organize the cable of your computer mouse neatly on your desk, so that it will not get tangled with other cables. Also, the cable is damaged less quickly and you create a longer life. Besides the fact that the product provides an organized desk, it also has four USB3.0 ports for your peripherals and 1 USB port. Organized moving the cable of your computer mouse is not the only thing this handy multifunctional holder does. You also have access to four USB3.0 ports so you can connect multiple devices at the same time. 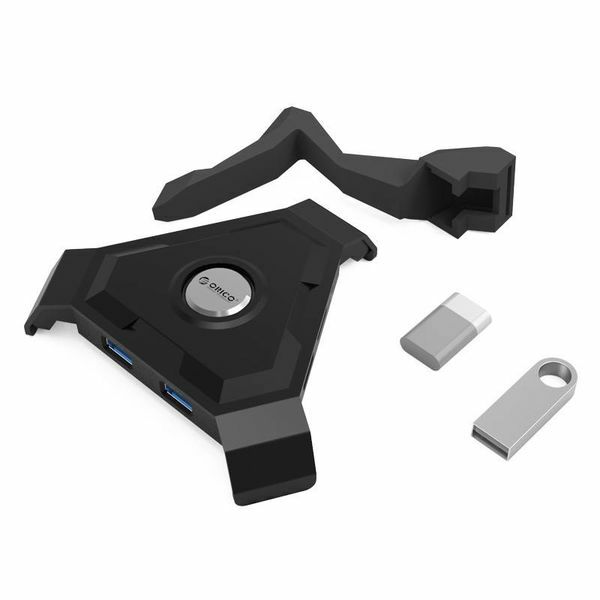 The USB3.0 technology makes it possible to achieve transfer speeds of up to 5Gbps. This is ten times faster than the transfer rate at USB2.0. In addition to the four USB3.0 ports to which you can connect your peripherals, the handy cable holder also has a Smart Charge USB3.0 charging port. You can connect various 5V devices here, which are charged. Because 2.4A is delivered, not only smartphones, but also tablets can be charged stably and quickly. 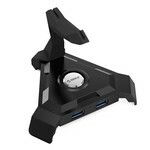 The product is a robust appearance for your desk or table. It is made of high-quality rubber. The matte finish makes it a stylish holder. The cable holder for your computer mouse is supported by Windows XP / Vista / 7/8/10 and Mac OS. On the USB3.0 ports you can connect all your peripherals, such as a printer, webcam, USB stick, hard disk or keyboard. You can connect various 5V devices to the USB charging port. 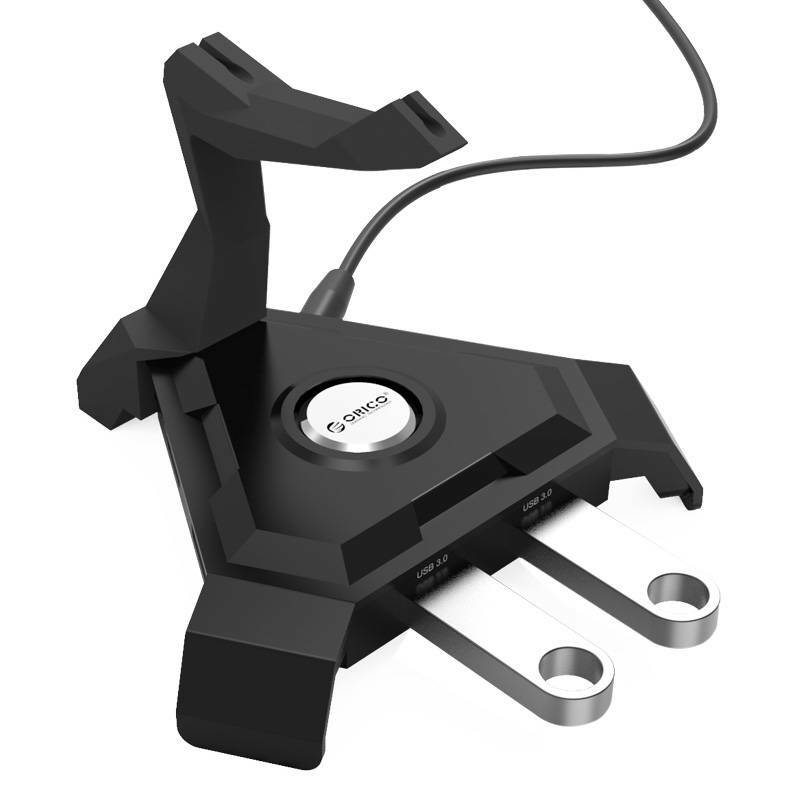 You can easily charge your smartphone, tablet, portable game console, digital camera or MP3 player via the charging port in the holder. 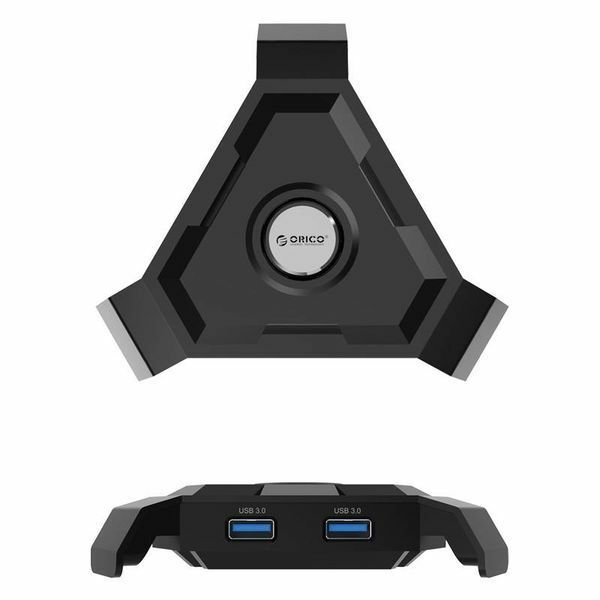 ✔ Connections: 4x SuperSpeed ​​USB3.0, 1x 5V-2.4A charging port. ✔ Power supply: 12V adapter. ✔ Supports: Windows 7/8 / 8.1 / 10, Windows Vista, Windows XP, Mac OS and Linux. ✔ Product dimensions: 110mm x 127mm x 28mm.